You walk into a gym these days and a squat seems to be the go to exercise for many when undertaking a lower body session. Squats are a fantastic exercise, when done correctly, as they are functional, a compound exercise, and excellent for building strength in the lower body. 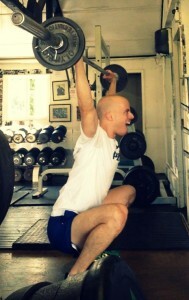 Many people undertaking them however are not able to reap the full benefits from squatting as full depth is not reached. When you squat you want to get your hip angle below your knee angle, whilst maintaining good technique (Straight back, feet flat, head and chest up) this will cause greater activation of your glutes and hamstrings working these muscles harder. Squatting deep isn’t easy, but can be achieved through these simple steps. Tight calves can restrict your range of motion when squatting, so by foam rolling and stretching them prior to a squat will increase the depth you can achieve. Roll from the bottom of the knee to the top of the heel. Walk your toes in, keeping one leg straight. Try pushing your heel down to the floor. 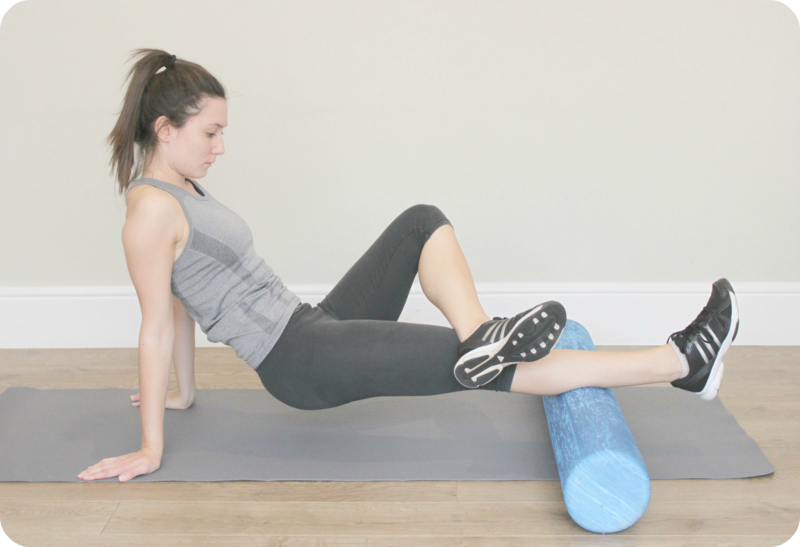 Lying on top of the foam roller, move forwards and backwards in slow controlled movements. Then roller can be moved to the inside of the leg, and roll up and down the groin. Drop down into a lunge position with the back knee resting on the floor. Keeping your chest and head tall lean into the stretch. On your knees and elbows turn your feet out and sit back as far as you can, maintain a good posture. The last exercise uses the assistance of a fixed piece of equipment (TRX, squat rack) to get down to the bottom position of a squat. Holding onto the squat rack, using it as a balance tool run your hands down the rack, whilst also squatting. This will help you get lower, and get your body used to the correct position. In the bottom position your hip angle should be below your knee angle, back straight, weight in your heels, and just using the rack as an aid to maintain this position. Now push your knees out and hold for 1-2 minutes. Following these 3 simple steps prior to starting your session, will make a massive impact in your squat depth and make your sessions far more beneficial.